Keeping your website secure is a very essential thing to do. 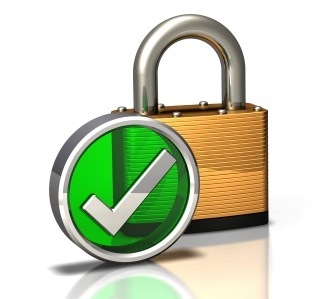 In this article, you will be informed of some guidelines on how to keep your website secure. Back up your website’s files Every website should have a backup of their website files so that whenever something happened on the website, you will not need to start over again and waste time rebuilding it. You would not want to lose any important files on your site right? You can make use of services from Mozy or Carbonite to have back up copy of your website files and data. Login page encryption SSL encryption is recommended to be implemented on login pages. There are web browsers that offers SSL encryption automatically (it appears as https at the beginning of URLs). It will be easy for hackers to access your site if you do not use encryptions on it. Avoid sharing your login credentials Avoid giving away your login credentials to keep out from important files and data leaking out. If you need to give out some login credentials to your assistant or co-workers, you may instead, create a separate and new account to those who needs to access the website on a regular basis. And in case someone has to leave the business, you must deactivate the account assigned to them or alter the passcode immediately. As much as possible, make use of strong passwords Make your website secure by utilising a strong password. You may suppose that a more complex password is better Avoid using words that doesn’t relate with anything from your website. The best tip for a more secured password is to use random words with alpha numeric characters and symbols. Make use of secured host When you have a secured host then you will probably have a more secured website. Ensure that your host uses suPHP, which is essential for allowing PHP scripts to only function with the permission of the owner. Run a website scanner regularly SiteLock and Securi Sitecheck are examples of website scanners that will protect your website from viruses and other malware pieces. Do it regularly. Now that you’re informed on how can you make your site secure, never let your website attacked by many suspicious codes and hackers.